This past Saturday, Dharma and I travelled to Grand Rapids for the opening weekend of ArtPrize10. It’s remarkable to think this experimental, citywide art competition has been in existence for a decade. For those unfamiliar with ArtPrize, it is a three-week art competition that takes place throughout the city of Grand Rapids, Michigan. 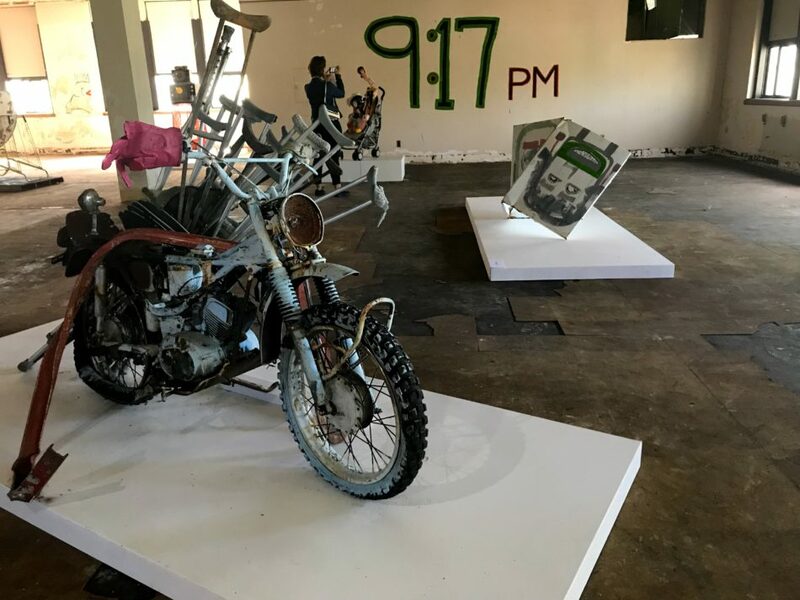 Artworks, including 2D, 3D, Installation, and Time-Based, are exhibited in a variety of settings ranging from major cultural institutions to local bars, cafes, and hotels. According to ArtPrize, “1,260+ works created by 1,400+ artists from 41 states and 40 countries will be exhibited in 165+ venues” comprise the 2018 program. ArtPrize is organized though a unique crowdsourced fashion: both artists and venues register for the competition and “then find each other through an online connections process.” Each venue is independently organized and ArtPrize, as an institution, does not participate in the selection of the work. 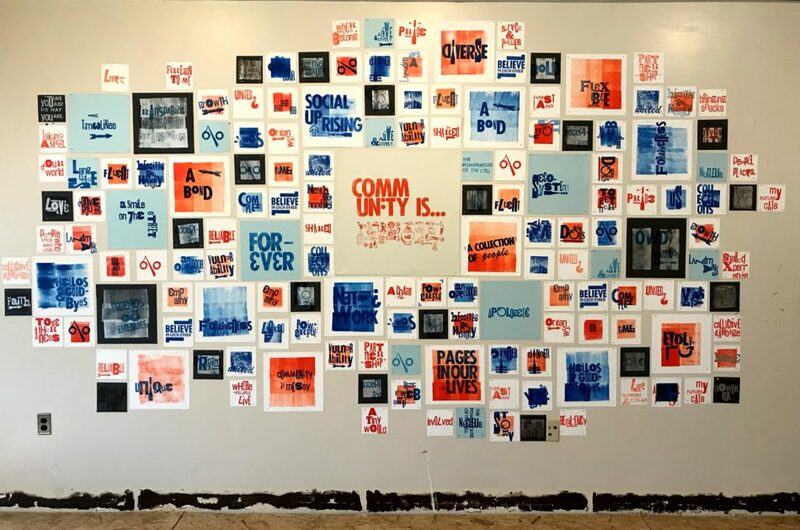 Through this approach, ArtPrize has positioned itself as a “radical idea” that sought to disrupt “the traditional top-down art contest.” Like it or not, ArtPrize has successfully delivered on this mission over the course of its first decade. Approximately $500,000 in prizes are awarded each year though ArtPrize. Of the total, $200,000 is reserved for winners selected by the public and another $200,000 for winners selected by jurors. Over the past ten years, ArtPrize has managed to secure some major players from the art world to serve as jurors, including Theaster Gates, Jerry Saltz, and Anne Pasternak. These jurors have definitely helped to raise the profile of ArtPrize, which initially was intended to be a non-juried competition; all prizes were originally meant to be awarded by the public. However, it became apparent very early on that this could have adverse implications for attracting more accomplished artists. Today, there is a combination of prizes that honor both the choices of critics and the public. To be sure, the quality of work in this competition runs the gamut. As one might suspect, the cultural institutions tend to display the work of more accomplished or acclaimed artists. One major exception to this is the popular and very successful SiTE:LAB, which has won the Best Venue prize five times. SiTE:Lab is a self-described “nomadic all-volunteer artist-led initiative focused on creating site-specific projects and events in underutilized and unique spaces.” After sitting out last year’s competition, SiTE:LAB returns this year with a takeover of the 65,000 square foot building at 415 Franklin. Although this building has been closed for the past tens years, it was originally home of Christian High School and later the Kent Community Social Services. The works selected for SiTE:LAB were among my favorite. Artists at this venue include Tyree Guyton, Mandy Cano Villalobos, and Le’Andra LeSeur. All three artists, along with the venue, were just announced as finalists for ArtPrize10 Jurors Awards. Over it short history, ArtPrize has faced a fair amount of criticism. Some feel ArtPrize is more of an economic development initiative than a serious art festival. Others have questioned the funding and influence of the DeVos family and their conservative politics (see Peter Moskowitz’s Welcome to ArtPrize, a “Radically Open” Far-Right Art Competition in Grand Rapids and Steve Friess’ How a Quirky Art Prize Tied to the DeVos Family Went Political). And, of course, there are those who feel this is not a serious arts program. Perhaps there is some truth to each of these criticisms. ArtPrize was forged in the midst of the Great Recession in a conservative part of a Midwestern state. However, the democratic nature of ArtPrize is what makes it truly unique and interesting. There is nothing wrong with utilizing the festival as a vehicle for fostering civic pride, stimulating economic development, and cultivating interest in the arts. If anything, ArtPrize should continue to make the event more accessible, inclusive, and equitable. As ArtPrize enters its second decade of operation, it will be interesting to see how the program innovates and evolves. The program is no longer an experiment; it has become an institution. Speaking to this, it was announced earlier this year that ArtPrize will become a biennial after this year’s program. In the off years, the program will focus on a single artist or a small group of artists that will present a public art project. It remains to be seen what the future holds for ArtPrize. 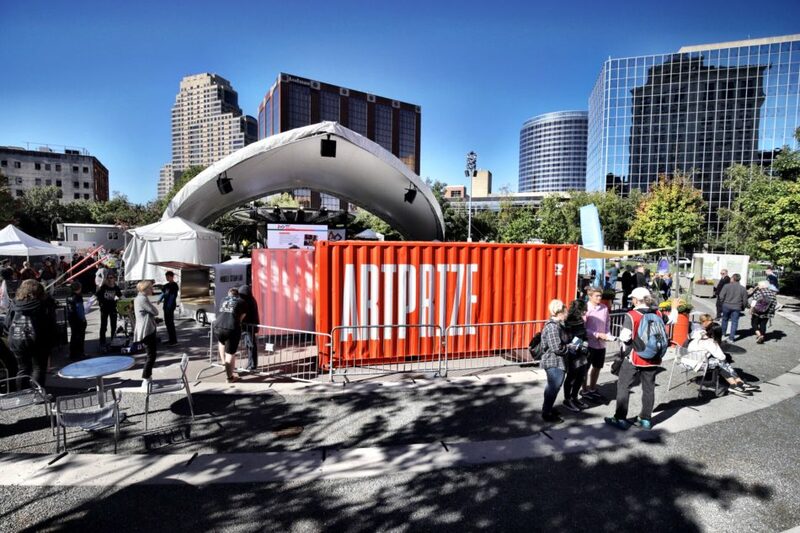 Regardless, from the Pantone Pathways to the Critics’ Choice and Family Experience Guides to the ease of voting on mobile applications, the first ten years of ArtPrize will serve as an interesting case study for democratizing both art competitions and fairs for years to come.